Welcome to first ever Student Transition and Elevation Partnership (STEP) Program by IEEE Bombay Section. 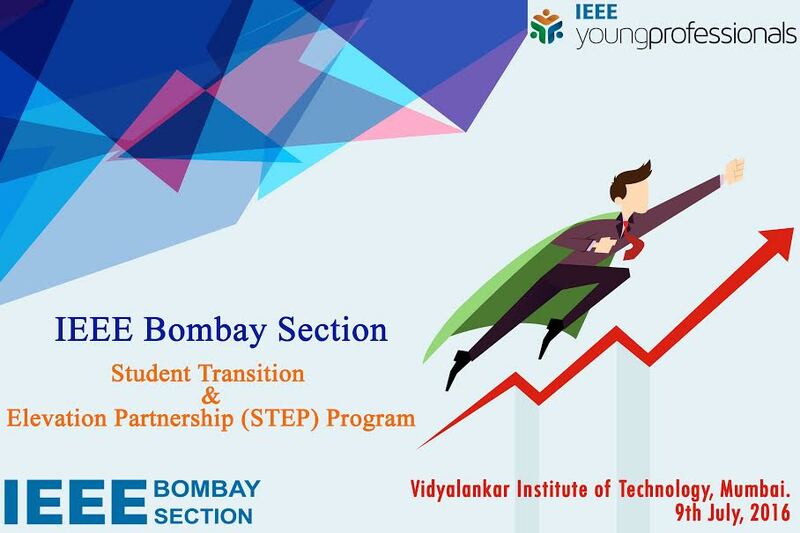 IEEE Bombay Section and IEEE Bombay Section Young Professionals Affinity Group is organizing a Student Transition and Elevation Partnership (STEP) Program for the final and pre-final year students. The program will help students get acquainted with the opportunities and benefits of the Young Professionals membership and its use in their careers. The program will comprise of talks by erudite people from industry and academia, panel discussions, interactive session among students and case study competition. It will also facilitate interaction among peers and YP members.